This entry was posted in Aviation, Blogs - Aviation, Flying, Learning to fly, MidLifePilot and tagged circuits, incidents, insights, learning to fly, non-towered aerodromes, safety, see-and-avoid, traffic separation. Bookmark the permalink. Many thanks, glad it helped and thanks for your kind comments. I enjoyed your post on this! Wow, I’ve always been afraid about stuff like that would come up but never had to deal with it first hand. Great observations on the whole situation. Thanks Jeanne. Maybe it’s a reflection of the busy nature of most of the airspace in which I fly … I kind of expected to deal with this sooner or later, but didn’t expect something like this so early in my flying. There’ve been 1 or 2 other occasions around my home aerodrome (Bankstown, Australia), when flying dual with my instructor, that other aircraft have come uncomfortably close to us. Not sure whether this is just a reflection of Bankstown traffic(2nd busiest GA airport in Australia and a major training airport) or also of the quality of air traffic control in our Class D airspace … It’s always been me (or my instructor) to spot the risk first and take immediate and positive steps to avoid. Though none of these events have been as “close” as my landing at Wollongong. That’s an uncomfortable situation to be in, but having said that, you picked up the Diamnond’s position early enough to know what you might have had to do if the situation demanded it. That’s a good thing, sort of. Did the Diamond make their 10-mile and 5-mile calls on approach? They really shold have let down on the dead side and then entered circuit on midfield crosswind, slipping in behind you… by which time you’d well and truly be on short final. I enjoy flying more in untowered airfields these days, but in situations like that, I can also appreciate the circuit procedures in places like Jandakot where there’s ATC. You’re going to be a better pilot for this experience. Patrick, I can’t *swear* that the Diamond didn’t make 10-mile and/or 5-mile calls. I’m pretty sure he didn’t, I just can’t be 100% sure. I was – as you can imagine for a first solo approach to a non-towered aerodrome – absolutely on the edge of my seat trying to listen out for traffic. And I don’t recall any radio traffic. So – 98% sure, just not 100%. Definitely learned from the whole experience, however. Just to offer a slightly different approach, the issue here, as I see it, is radio calls not where he joined. Imagine the same scenario, you doing exactly the same and the other aircraft joining the downwind leg earlier. You make all the calls you said you did, he makes one saying that he is joining downwind moments later and now he is right behind you. He should be making the call to say what his intentions are before he enters the circuit. Make your 10 mile call, then when you work out how you plan on joining the circuit make a call, then make another as you join. If he had have done that then you would have expected him to be coming in on the base leg and then you could have called him and told him (again) where you are. You both know what is going on and can plan accordingly. You think it is bad about CASA allowing a base or final join. I think it is worse that you can make a call at 10 miles saying you intend to join the circuit and then there are no other mandatory calls (unless joining final). From memory the AIP’s say something like make broadcasts to allow for separation and safety. Peoples views on safety are wildly different! Blake, I entirely agree. The CTAF radio call regime should surely be mandatory, including inbound at 10 miles, inbound at 3 miles (straight in approaches), and the calls for joining and proceeding through the circuit at whatever position including mid-crosswind, downwind, base, final. If it’s worth “suggesting” for safety reasons, surely it’s worth mandating so at least the discipline is taught consistently in our flying schools? 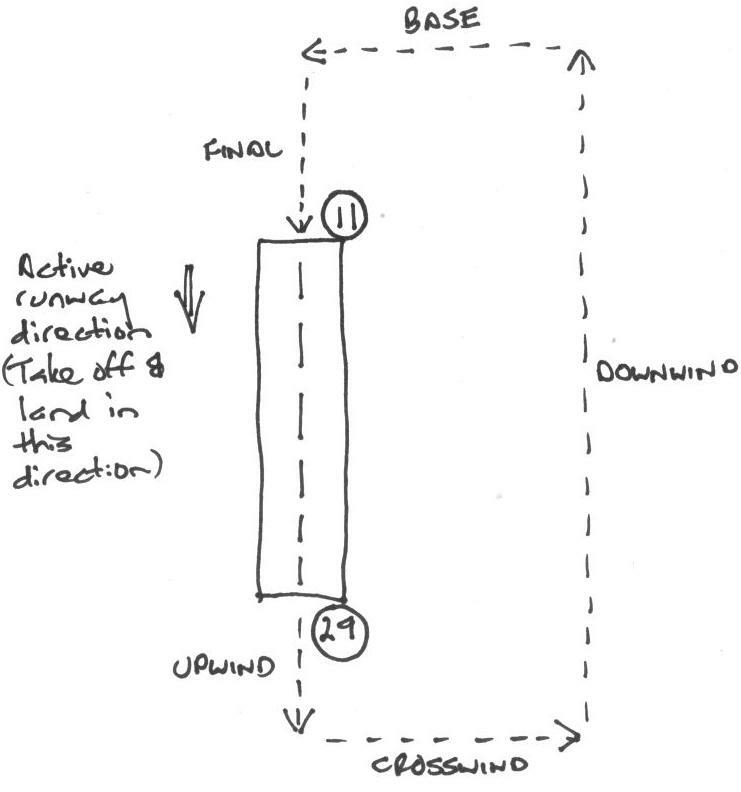 Some of the considerable amount of feedback I’ve had on this blog post – from older/more experienced pilots if I can hazard a generalisation – offers the view that we “used” to be expected to maintain appropriate separation and traffic flow in and around the circuit based on visual look-out and we’ve perhaps grown over-reliant on radio calls as a proxy for good see-and-avoid techniques? I had an instructor recently that had asked me to replicate his commands like a “symphony” on downwind, to power back, trim, carb heat, flaps & turn base leg on his command. Without sight of the traffic on mile and 1/2 final, which we were informed of by ATC, I turned on his ‘turn base’ command, and soon closed in on an aircraft on final. We were likely 500 feet vertically and horizontally away from the aircraft but nonetheless I have always been instructed to turn base once your traffic is passed your wingtip to allow separation. I understand that we all make mistakes, but when he insisted on rambling about how correct he was and couldn’t own up for a premature base leg call, I fired him the same day. A few weeks later, another student had released him from duty as well, and so the school followed en suite. Pilots like him are out there; not that your article is the same situation but I figured I’d share my awareness and caution of the air. A quick heads up, maybe misunderstood this part of your article, but if the winds are blowing from 29 I would think you’re better off departing / arriving on 29 rather than along with the wind on 11. In Canada where I’m born, raised & currently training, the winds are measured from the magnetic angle they would hit you at, and you would depart on a runway with the same magnetic heading. Interesting experience with your instructor! 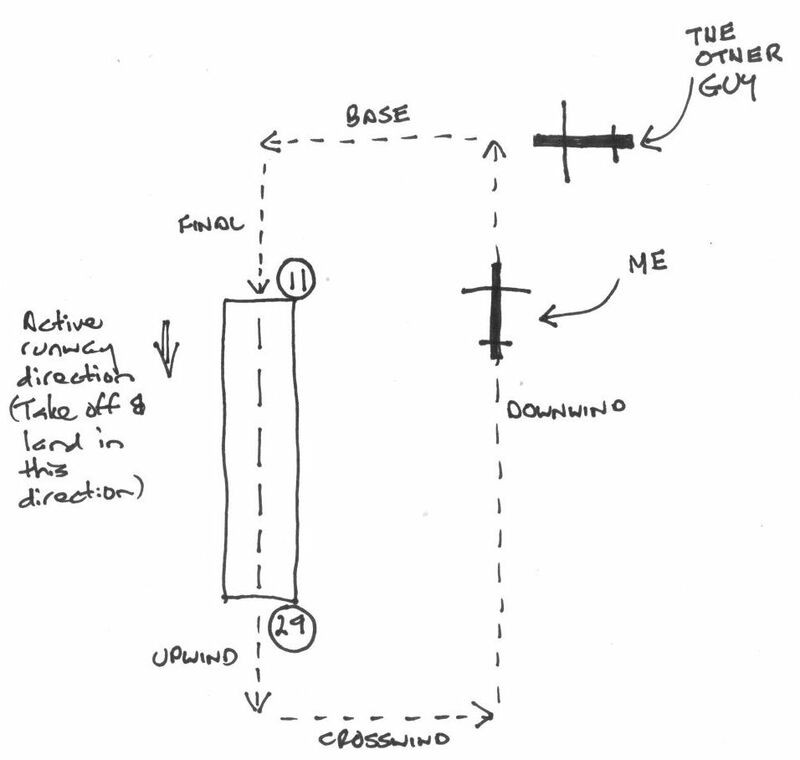 During my GFPT (General Flying Proficiency Test) I actually had our flying school’s CFI in my ear for not turning base early enough – he felt I was getting too close to controlled (Sydney) airspace to the east of the aerodrome. Like yourself, I was waiting for some preceding traffic on base/early final to pass my wingtip before I turned base. I explained my rationale to him and he was satisfied with that.